Valentine’s Day. Often one of the most controversial Hallmark Holidays in your calendar because people have all sorts of feelings about it! There are those who wear dark colors on Valentine’s Day and those who get decked out in pink, white and red. There are those who sometimes feel sad and those who feel happy. To those who feel sad, feel happy or just don’t care on Valentine’s Day, this is my anthem to you! Valentine’s Day may be “Hallmarked” as the day for couple-y love, but why just stop there? I see it as a day to show your friends how much you love them. I also see it as a day to indulge in your favorite type of chocolate without feeling bad about it. It’s Valentine’s Day; give yourself some TLC –Teriffic Chocolate Loving—too! So put on a smile or keep it on because the day for all things you love is next Monday, and at UA we are celebrating friends, heart print scrubs (of course) and saving the best for last…Chocolate. 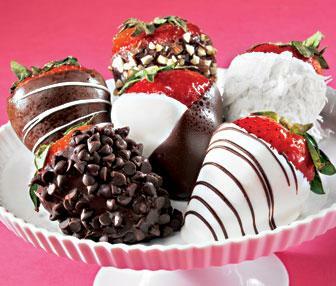 Chocolate covered strawberries! Dark, milk and white—they’re all good! Okay, not edible, but we do love this top and I just had to throw it in the mix :). It’s the UA Women’s XOXO Print Scrub Top (H400XOX) if you’re wondering! 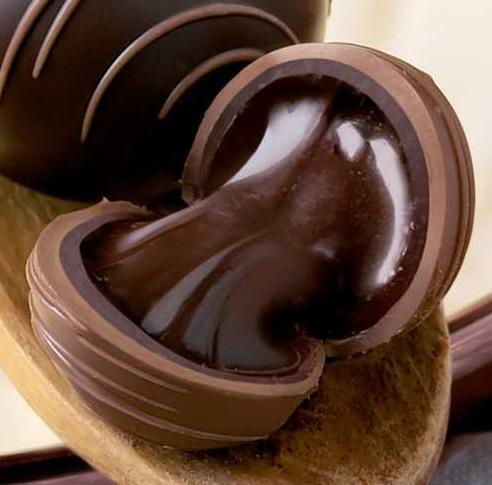 Let us know what is your favorite chocolate for Valentine’s Day! ← Last Week’s Win-It Wednesday Contest Winners! Love your site. I’d love to have an account, but don’t have a credit card. Also, it’s great to hear you love our site! We always love to get positive feedback from customers like you :).